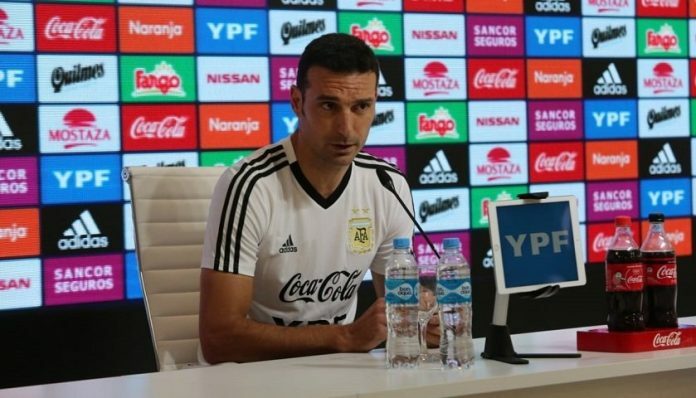 Argentina coach Lionel SCALONI spoke at a press conference about the Argentina team, Lionel MESSI, Paulo DYBALA and much more. “It brings us joy to have MESSI back, despite my youth. I had the possibility to train with him. We hope that with MESSI coming back, it brings out more of the potential in the team. “We will not change what we have done in the past 6 matches. Him being here is an added plus. MESSI is at an important moment in the season where you feel the fatigue and it’s obvious. Not only with him but with a lot of players and you have to take that into consideration. 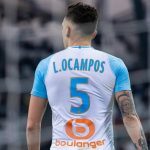 In regards to the injuries to Nicolas OTAMENDI and Angel DI MARIA, SCALONI said it’s best not to risk. “We enter the game wanting to take the initiative. We have a good midfield. We also have wingers that can cause damage. The important thing is to be protagonists. 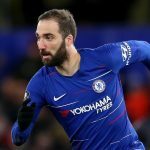 they will get their chance slowly…..
To be honest our trainers are not good enough ,how many of our players have the capability to play one touch pass ,no look pass ,off the movement skills ? I require right balance that’s whole… do u think omitting aguero is a good thing??? And wot all issues which I point out was wrong??? The messi dybala combo i think it will not work. Basically messi is far more better than dybala in every aspect .they are playing at the same side. dybala doesn’t have enough speed ,power and heading skill as a central forward. Messi needs to be surroundEd by skilful midfielder and RB . Such as lo celso ,Joaquin Correa ,busquets ,iniesta . Actually they are not from the same class and level .messi play one touch ,no look pass football which require lots of talent. 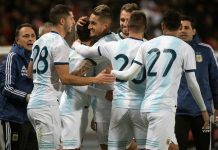 vs Venezuela no matter what formation argentIna should win that is the minimal target. We need to observe throughout the match scaloni ‘s idea especially his tactics. 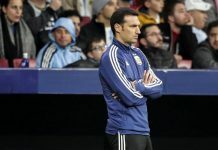 The former several matches didn’t show scaloni’s team attack tactically ,this time with messi it must be far more better . If they don’t play together, when will it work? Give a try. Ronaldo7.net. Only better things Ronaldo fans did. I agree but that site has HD quality. I close my eye to avoid Ronaldo’s face until I see the link for the match. and when is the ‘work’ going to come Mr.Scaloni? I feel if Messi is really going after a Major trophy, he (as the elder statesman) and the management must work together to carve time out and train/play with Dybala. After all they both live/play in Europe and if they click Argentina will instantly go from underdogs (yes) to favorites again. People needs to be patient a little bit. Scolani took a team that in transitional period, many new players has been called up since WC 2018 and these guys has no competitive game to play, only friendlies . When Sampa took over, the core of his team has dated back to Sabella’s day. Including the subs, there were 8 players from 2014 World cup that played against Iceland. He refused to call Icardi who’s a league top scorer and Dybala only played 20 minutes in total while the likes of Higuain, old Masche, Biglia and Rojo still managed to get a starting place. You cant get any worse. That clearly showed Sampaoli did NOT have the guts to try something new, his team basically just going through the motion with a team that was built by Sabella and Tata. At least Scolani’s team includes so many young players with only very few veterans. In fact ,the only veteran that guaranteed to be in starting 11 is Messi. Scaloni had enough time. I would say something again – Do you remember Brazil under Dunga for 2018 WC. He got fired when they were in 5th place and Tite came in and from then its transformed overnight. Now that is a coach with clear idea and management capabilities. Only way to make it work is a 4312, with Messi as a traditional 10 with 1 regista and 2 box to box behind him. The 2 box to box need to be strong in pressing and ball interception, can also play as winger. The other striker need to be fast, opportunist and smart for offside. He should always stay closed to the goal. This was the winning formula of Lippi’s Juve in 90s with Zidane behind Del Piero and Inzaghi in attack, Deschamps as regista, Di Livio and Davids on each side as the half box to box half winger. I think it worth to try Zaracho and Lisandro Martinez as those 2 box to box, obviously Paredes as 5, maybe Angel Correa or Icardi as the striker. However this means you got to sacrifice all talented wingers and creative midfielders. 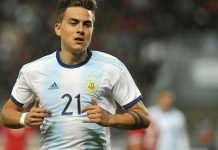 For Dybala’s role, it could be him, Lautaro or Kun. Is it me, or does anybody else think playing a back 5, or a 3-4-3 against a weak side like Venezuela completely unnecessary? Yes but at some points he has to fix the formation instead of keeping changing like Sampaoli did. I personally don’t think 343 can bring our best but can compensate some of our weakness like CB not tall enough overall and lack of DM. It also allows to keep Lo Celso and Pity or Di Maria in the 11. My favorite formation is more 442. 442 is best with Messi playing as both AM and CF. Likewise, I think 4-4-2 works best. Just look how it changed our team in the WC against Nigeria for example. It allows Messi to roam free, without having to worry too much about defensive duties, as there will always be the double pivot maintaining order at the back.